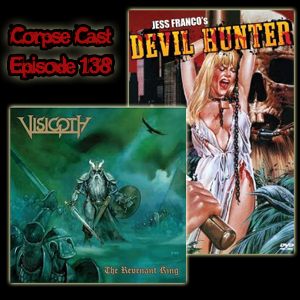 Grab your leather, steel, and torches it’s time for the new episode of The Corpse Cast! This week we’re talking about Epic Metal from Salt Lake City with Visigoth’s The Revenant King from 2015. We also take a trip to some unknown South American jungle island to try to survive a bug-eyed devil god with Jesus Franco’s Devil Hunter from 1980.